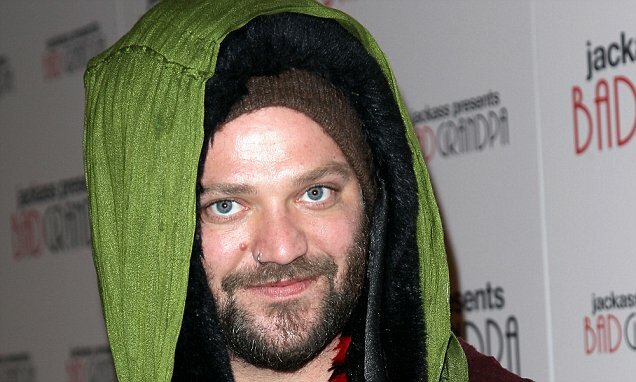 Bam Margera has been arrested for DUI after allegedly approaching police officers, who are said to have detected the scent of alcohol on the reality star. Police officers are said to have detected 'a strong scent of alcohol' on Margera as they spoke with him, and gave him a field sobriety test after having him pull over. Margera has made no secret of his struggle with alcohol abuse, though late last year the star opened up about overcoming his old habits and becoming sober. The reality star was booked on DUI after taking the test, and was released from jail at 2:30 PM. This is the first time Margera has been arrested for DUI. 'He's with a friend out there and we’re trying to see if he wants to go to rehab or anything,' Margera's brother, Jess, told Page Six on Monday, adding they were attempting to help him from across the country. Margera welcomed his first child, a son named Phoenix Wolf, with wife Nicole Boyd on December 23, 2017. The reality star has been candid about battling alcohol abuse, revealing that at his worst he would immediately begin drinking upon waking up.